I’ve recently been looking at optimising a data load that I’m working on, and have got a quite a nice example of how the performance can be improved significantly by creating a CLR object. To do this, I created a set of data (which is downloadable from here, is approx. 3mb and is extractable using 7-Zip ) which has approx. 200k records in it. The file has two columns (pipe delimited), which are a row id, and a set of events in a string (in the format “1,2,3,4,5”). Each string has a variable number of events in it (between 1 and 75), which looks something like this. What I’m wanting to do is split this out, to have an Event Id, Sequence_Number and Event with the EventList above being split over multiple records, and a Sequence number showing the position of the event code in the list. Sounds straightforward. I’m effectively looking for a quick way to generate this data. Running this generated a table with 9.8 million rows and took 6 minutes 8 seconds, so handling approx. 26.6k records a second. 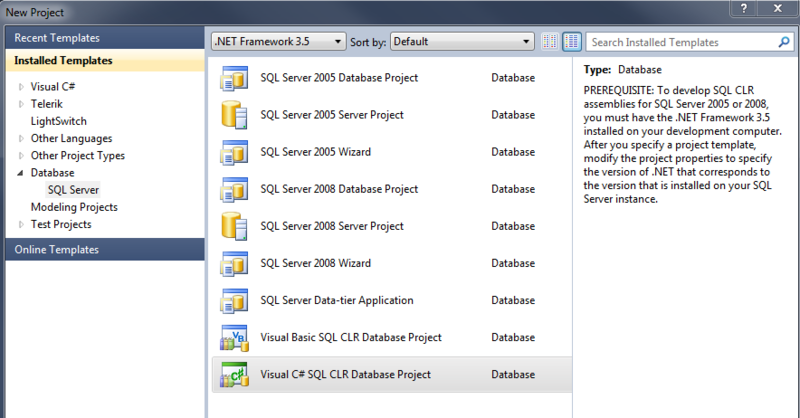 To split the EventList in a CLR object, I did the following in Visual Studio 2010. 2. Right click the project when it’s created, and choose ‘Add –> Stored Procedure’. So, having run these two processes, you can see that the CLR process is much faster. When running these tests, I was running SQL Server 2008 R2, on a i5-430m laptop, with 4Gb RAM. The database had plenty of space pre-allocated to it, so there was no performance hit based on growing the database.